Even if you don’t put a lot of miles on your Toyota, regular checkups and maintenance are important for your car to run smoothly. Just driving your typical routes to work, the gym or even your favorite lunch destination can have an impact on your vehicle. 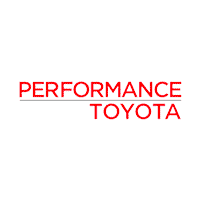 So make sure to stop by Performance Toyota in Sinking Spring, PA for your routine visits! Whatever your Toyota needs, you can rely on our technicians to get the job done right in a timely manner. If you’ve noticed any unfamiliar noises or the check engine light is on, then stop by the service department! We do everything from oil changes to tire rotations and even bigger jobs like transmission and radiator repair. Schedule a service appointment today and we’ll get you back on the road in no time! For THE FIRST TWO YEARS! *Loaner cars are available with a scheduled service appointment. Based on first come/first served basis. Complimentary Maintenance on New & Certified Pre-Owned vehicles includes complimentary oil, filter, labor and disposal fees; Maximum 2 per year for synthetic oil, 3 per year w/regular oil. Retail value $99.95 regular oil, $179.95 synthetic oil. Complimentary maintenance is excluded from as-is vehicles. Complimentary alignment checks with our state-of-the-art equipment anytime, when you purchase any vehicle from Performance Toyota. Shuttle service with scheduled service within 15 miles of dealership between the hours of 7 am and 6 pm. Multi-Point Inspections by appointment only; Service dept will have a qualified technician perform a multi-point inspection to ensure your vehicle remains running safely. Roadside Assistance provided by Toyota on new vehicles for the first 2 years/24,000 miles. Complimentary Vehicle Car Washes include an exterior car wash. See dealer for complete details.